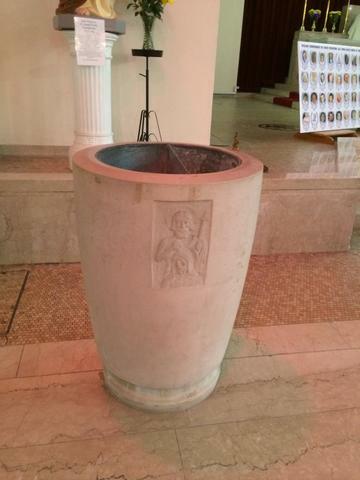 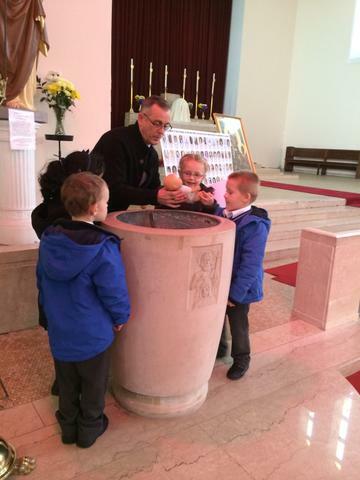 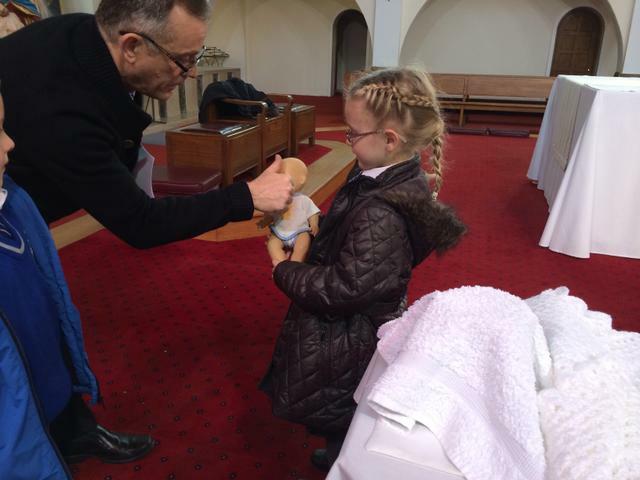 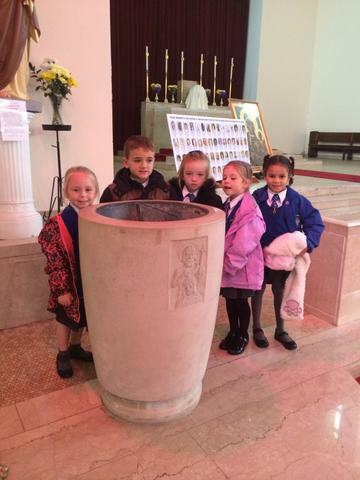 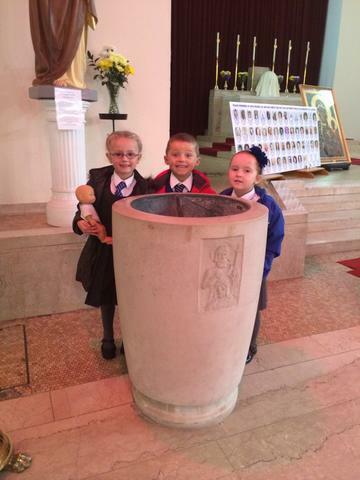 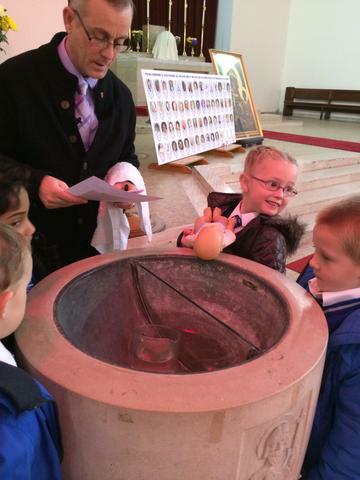 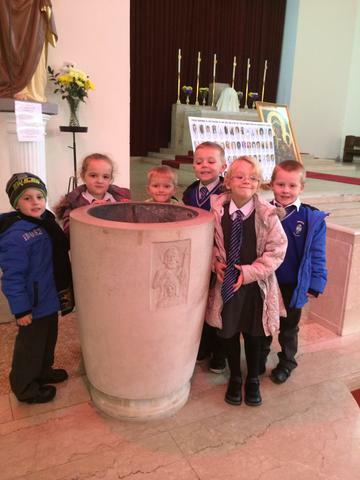 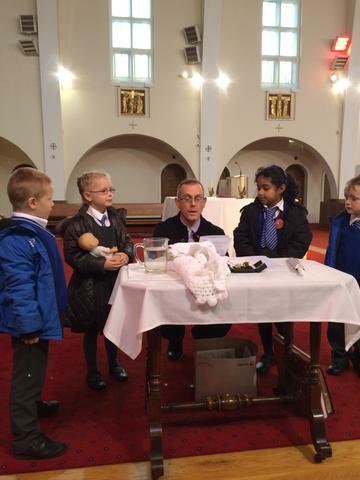 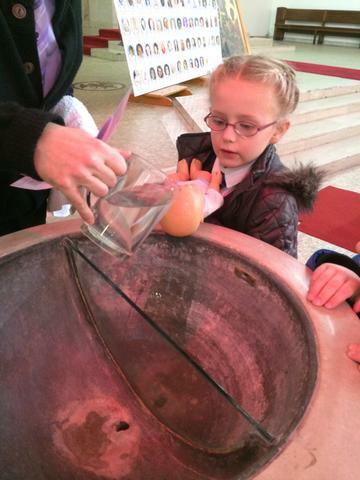 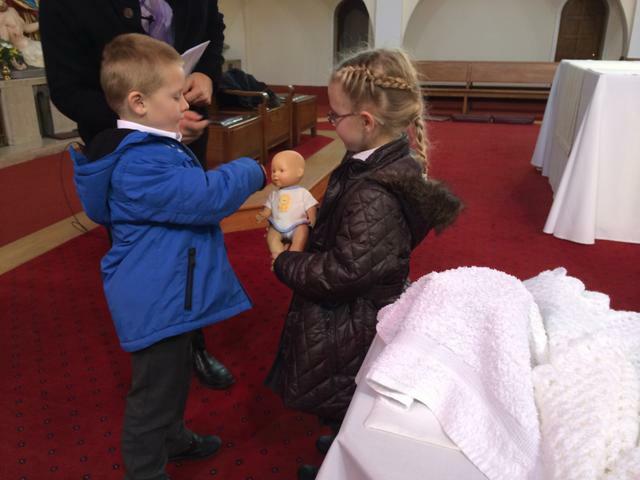 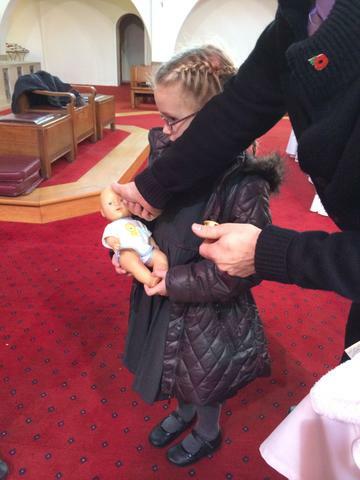 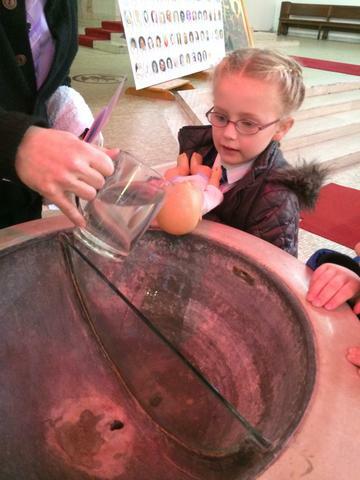 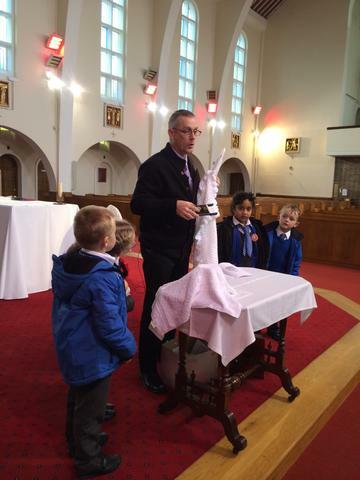 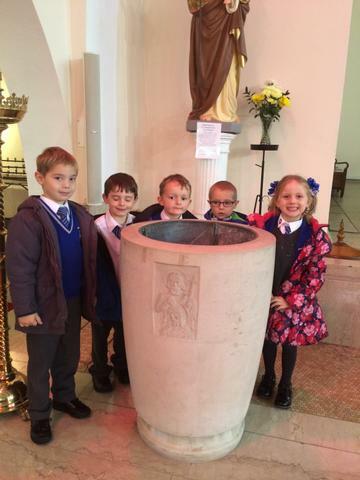 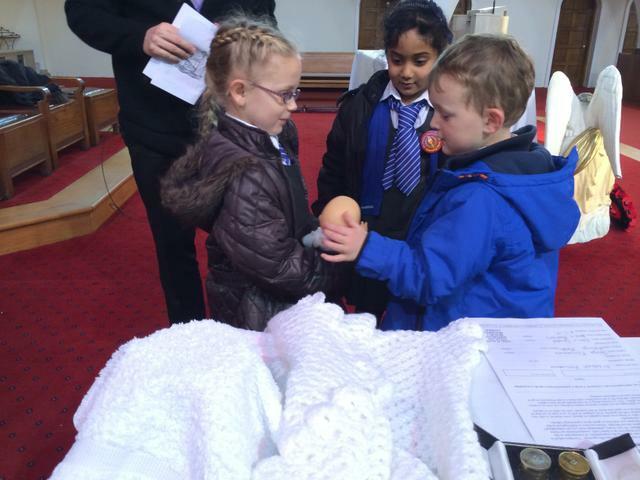 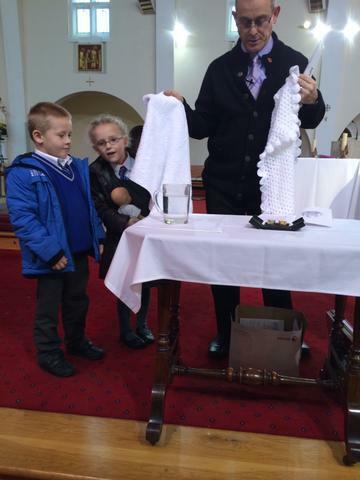 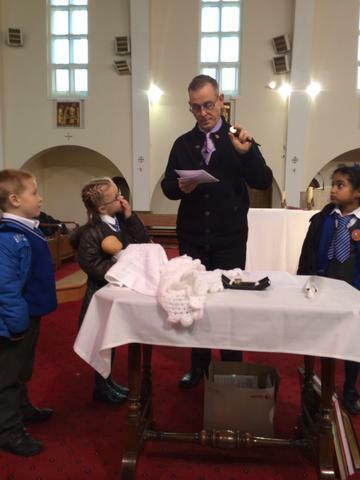 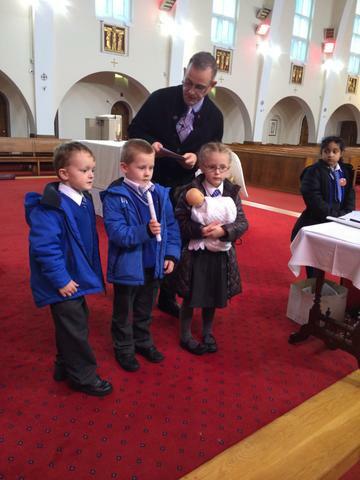 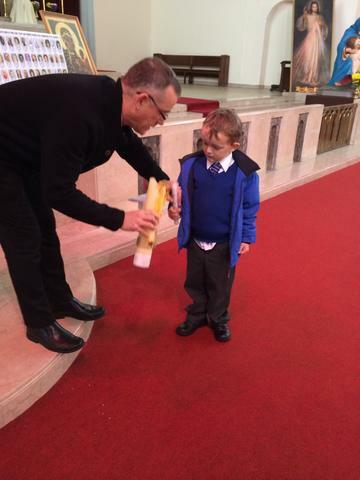 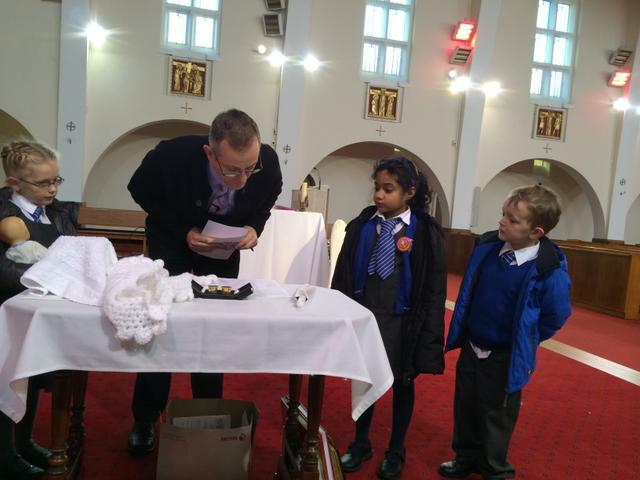 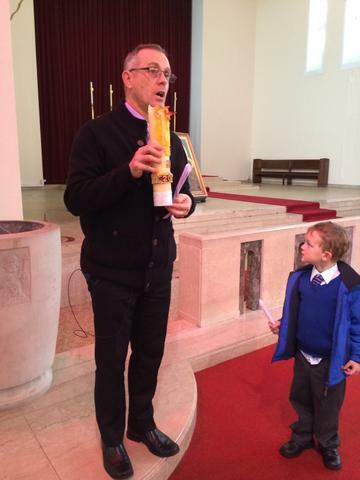 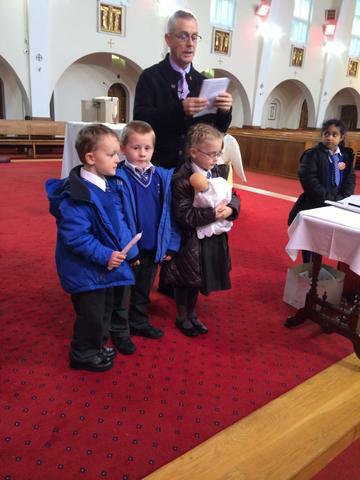 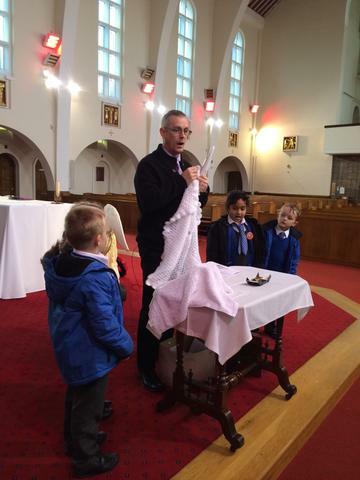 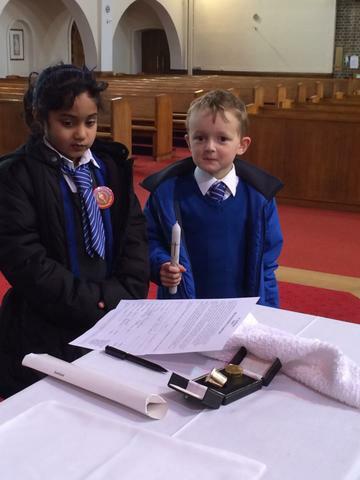 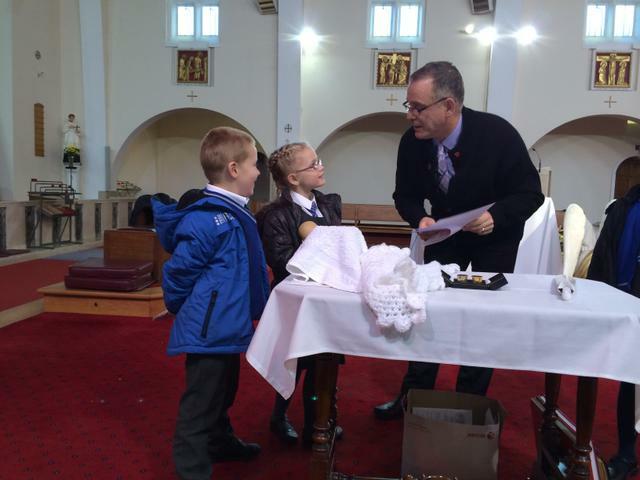 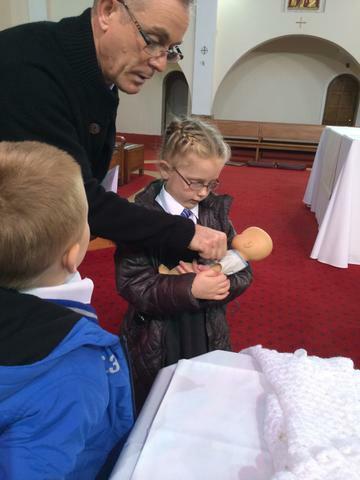 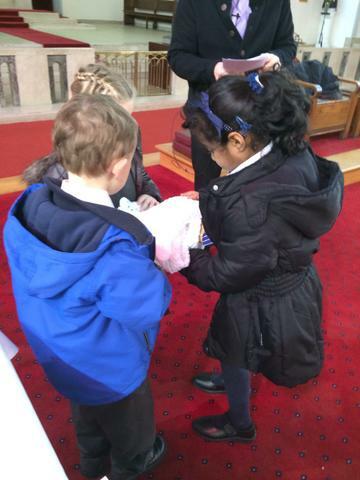 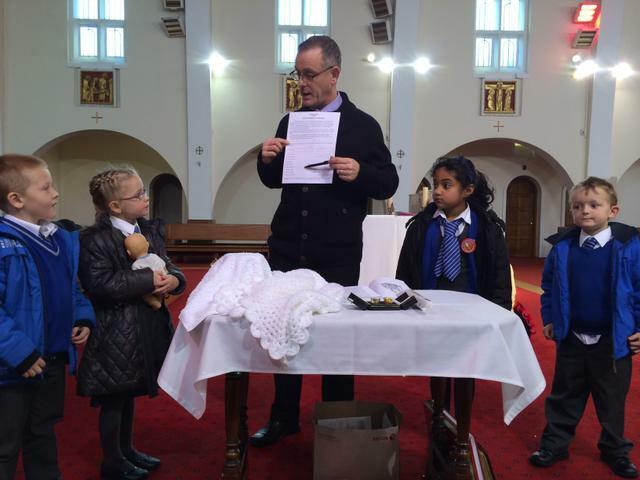 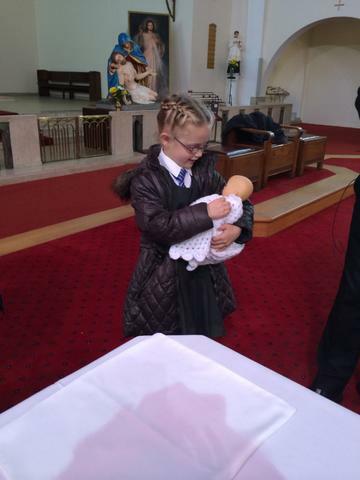 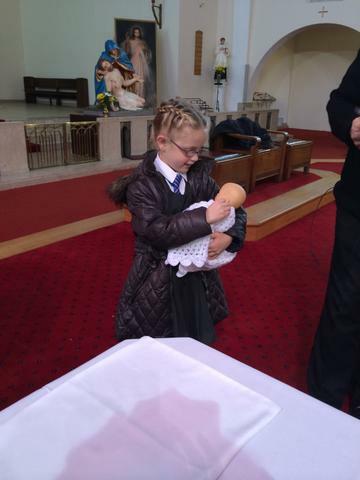 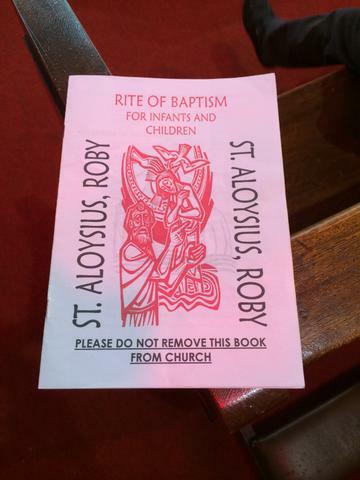 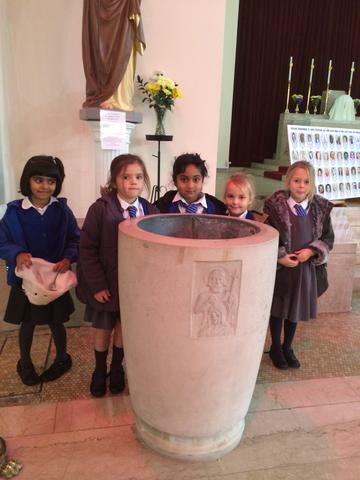 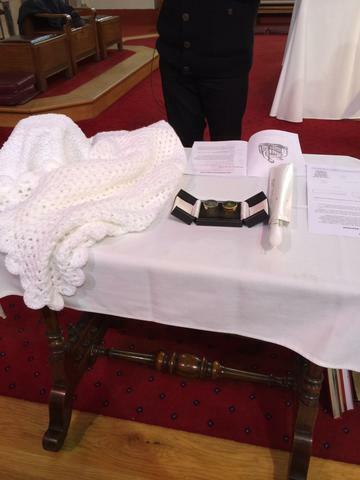 As part of or Baptism topic we paid a visit to our parish church yesterday. 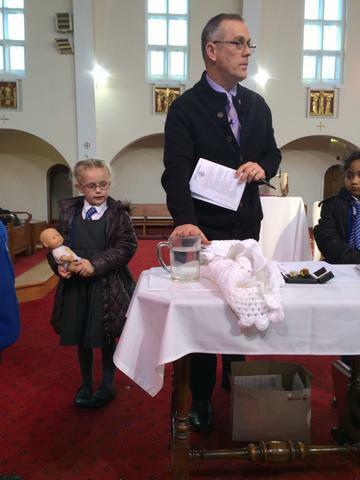 During our visit Peter talked us through the Baptism ceremony and we even acted it out with our very own baby Elizabeth! 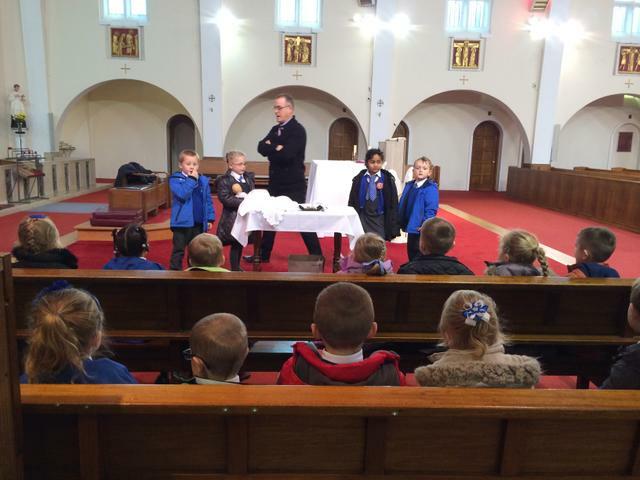 Check out our photographs.